I’m not someone who is prone to nostalgia often. First off, I haven’t been an engineer that long, at least in comparison to many of my peers. Being the “new guy” (or gal) can really prevent being nolstalgic about the old days. However, I find I’m becoming more so when I try to hire people. You see, I know a decent chunk of engineers who I’d love to hire. I know I’d like to hire them because I’ve seen their work, I’ve talked to them about electronics and I know that they know their stuff. I feel confident that whatever they don’t currently know, they would quickly go out and learn to the best of their ability and apply it to the situation I’ve placed them in. However, in reviewing their work and credentials, I see that there isn’t an undergraduate degree on their resume. Is this my rule? Am I the one that immediately clams up when I see they haven’t received their degree, which I must consider to be a ticket to a job? Nope. I work at a big company, as many engineers do. And like all big companies, there is an HR department in place that is in charge of hiring and administrative duties for employees. And somewhere deep in their handbook or buried in the job description, there is a clause about the candidate needing an engineering degree from an ABET accredited university. Now, I can try and go around HR and I’m sure it’s possible with enough effort. As Sam Feller has written on his personal site, sometimes it’s necessary to go around HR while on the other side of the table, as a job hunter. But I don’t really take issue with the people enforcing the rule in HR, so much as the thinking behind the policy. In fact, I’m pretty sure the policy originated from the MBA playbook. “Hire the best people, as fast as possible, with as little effort as possible”. Naturally, you’d want to only hire people with university degrees, right? Isn’t this how it’s always been done? Well, in fact…no. It hasn’t always been this way. In fact, this is a relatively new phenomenon. Previously, engineers could enter a company in two different ways. The first is the same way they enter now, with a university degree. The other was working their way up, either from the shop floor or as a technician. Almost all training was “on the job” and responsibilities were granted as the person became more and more experienced. This meant that someone without a high school diploma (though likely they did have that) could one day be a head engineer at a company, having worked their way up. And given the time frame of when this trend changed, this could very well be the case today. Perhaps your top engineer never finished school? I’m of the belief that this is not likely to happen anymore. The combination of HR policy and social norms means that most engineers entering companies will be required to have a degree of some sort. I’ve even heard of companies making older engineers that had not earned a degree go back and earn one retroactively, as though the degree would validate the years of work they had already done. Even though “on the job” is where engineers learn most of the relevant work, there is an undeniable focus on having that degree. One of my concerns is the logical extension of this trend. If previously a high school diploma was sufficient–but no longer is–what is the next step? Will every practicing engineer need to have a Master’s degree along with their bachelor’s degree, similar to how many teachers are now required? Will it then be a PhD? Is the profession any better for it? Or is the value of a higher degree then lessened? Mostly I’m just worried that I’ll be forced to go back to school when I have no intention to. I find that I learn more while doing my work than I ever learned while in school. While I understand that a university education is different and meant to be a broad based support for future endeavors, if I never use the base…why require it at all? just as it was for most industrialists. This turns into many different interesting threads of thought, but none more interesting to me than the fact that schools might not actually be working. At all. And so that’s why I get so incensed when it is a requirement for hiring someone. If I can prove through questioning and references and viewing experience of the person I want to hire, why isn’t that allowed? And possibly more importantly, if I am trying to hire someone for a creative endeavor (and yes, engineering is a creative endeavor, no matter how you slice it), would I want someone who has excelled in a system that favors conformity over creativity? As a quick aside after asking such heavy questions, I feel I should explain myself. Perhaps I’m becoming, HypoChris™, which is what my wife calls me when I’m being unfairly hypocritical. After all, a university degree is still a decent indicator of good work, right? And more importantly, I got a university degree, didn’t I? So would I hire me? Well, maybe….but in the end, probably not; at least not right when I was coming out of school. Sure, my cooperative education helped me understand engineering in a larger context and learn on the job. But I don’t feel I truly became an engineer until my second job out of school, when I took it upon myself to really get deep into the material. Not surprisingly, this was also the time when I began to enjoy engineering the most. It was the point when I was purely learning on my own and struggling and striving to make myself better that I would have considered hiring me. Did I need a degree to get to that point? There’s no way to tell, since it was a confluence of factors that got me to that point. However, I do know other people that reached that same point without earning a degree in EE. As a final point, I’d like to bring up the haven of most engineers who don’t have degrees. In fact, it’s quite hilarious. Most engineers without the official slip of paper end up in consulting. Often times it’s because this is a way around HR departments. If you aren’t officially working for the company and instead only invoice them for your services, you don’t show up on HR’s radar. They can’t protest about what they don’t know is happening. The people without degrees who are good engineers often need to find other ways to get paid for their work, so they often have clever working agreements. They also have to work harder to find gigs, often through networking (which also happens to be the primary way that consultants are found). The truly ridiculous part of all of it though is that when a consultant is needed, companies often paid much more than they do their full time engineers (even after adjustments for taxes and health insurance and such). So do I think they should never hire anyone with a college degree in engineering companies? Of course not, that’s silly. However, I think there should be an honest discussion about why there are degree requirements for jobs, especially in this age of sky high tuitions. Perhaps, as this author from the Denver Post states, a way to fix the problem with student loans and the skyrocketing price of education is to stop requiring it for everything. That would just be a side benefit. The main benefit would be cutting off the degree inflation that is making it difficult to find workers. Instead, depend upon experiential learning and hire people that are eager to teach themselves. I’m sure there’s a reader out there saying something like, “Well Chris, why don’t you stop complaining about it, move up the ladder and fix it?” Well, I would. But first I’d need to go get a degree and learn the playbook. And by that point, I’ll just be focused on hiring people as fast as I can. Thanks to lordsutch for the original diploma image. A very interesting article with well considered opinions and an articulately expressed argument. On the whole I very much agree with your points and certainly with the principle. However, I would like to offer an argument in favour of academic credentials and its importance to the “status” of the Engineering profession as a whole, which is currently witnessing a decline. It is a sad but recognisable fact that the Engineering trade has fallen from grace in recent times. Gone are the days when a good Engineer was considered an important asset to the company. It used to be that the Engineer was very well respected both on a professional and on an individual basis. Now all that is gone, and Engineers find themselves being treated more like disposable commodities than worthy assets to be held on to at cost. And, thus, our pay scales have gone with the trend; shedding thousands in the available salary for the next generation coming through the ranks. Indeed, even the term “Engineer” itself has taken a battering; it has been bandied about from here to there and had all meaning stamped out of it. These days (in the UK at least), it seems that you can use the title “Engineer”, without challenge, for anything you want. Indeed, you can legally call yourself an Engineer (by virtue of the term’s lack of legal status at all) without ever having created anything in your life. Here to install cable TV? That’s me – I’m the SKY Engineer. Here to put broadband in? Of course! I’m the broadband Engineer! Here to swap out a module on your faulty fridge? Yes! I’m the refrigeration Engineer. It is not my intention to demean these trades that I mention. Far from it. The point I am intending to make is that in order to truly call yourself an Engineer, you have to really Engineer something – to create something that wasn’t there before; whether that be a bridge, a car engine, or an electrical circuit to meet a certain specification. None of the trades I just listed are creative trades. If they are not creative, then how can they be Engineers? And why, then, is the term allowed to be bandied about as such? I couldn’t turn up to a broken TV at someone’s house and represent myself as a “television doctor”, because the term doctor is legally protected. And, in law, the term solicitor or barrister is legally protected. You can’t call yourself one unless you really are one. And that’s where I think we may be going wrong in the Engineering trade – we’ve lost our identity, and paled into obscurity. Where the trades of doctors and lawyers have maintained their reputation, we have somehow squandered ours. How is this point relevant to my argument for academic credentials? Well, here’s the thing; if we are to lower the educational acceptance level of our cherished trade, then we need to seriously consider what damage that will further do to the “professional” status that it is clinging on to by a last strained hair. In my opinion, an Engineering trade without academic credentials is one doomed to forever employ low paid commodity workers, and reduce the average skill level of the entire trade as a whole. Now, while making this argument, I am willing to concede that a true Engineer’s assessable skill depends little on her academic background, and as such it is entirely possible to employ a good Engineer who didn’t go to college. Engineering skill is better demonstrated in practice than it is in theory, and that’s why a fresh graduate out of University finds himself with no clue about what he’s doing when he finally gets a real job. Unless, of course, he takes it upon himself to embrace electronics as a hobby through childhood, in which case practical skill will have already been nurtured. 1. You give permission to an entire movement of people – who aren’t good Engineers – to apply for positions that they are not really good enough to fill. Most of these people will be screened out, but you can bet that some of them will get in. The skill of our trade will be diluted beyond recognition. 2. You give HR and Management immediate permission to lower the salary range for the position being advertised. Whether that’s actually right or not it doesn’t matter – they’ll do it, and they’ll get away with it. 3. You let that final hair snap, and any credibility our trade was clinging on to will be forever lost. No longer will Engineering be able to stand tall next to the medical profession, or the law profession, or the science profession. Engineering is a trade that is easily misunderstood by the vast majority of the population – who don’t understand it – and thus it will be viewed by the majority as a trade of low skill, regardless of how inaccurate that opinion is. So, in conclusion, I would certainly agree that an Engineer applying for a position at your company should not really be judged on her academic background. Academic credentials play a small part, of course, but to gauge the true value of an Engineer’s worth you need to look at her practical skills. Her interest in the trade. Her enthusiasm and willingness to learn and apply her skills to new challenges. Her past projects. At the end of the day, Engineering is really a practical trade. Yes, you need an appreciation of theory and you need to be reasonably well versed in mathematics, but I have found that theory can be learned and re-learned as and when it is required, where as good practical skills take much longer to acquire and are far more important. But, despite this, we should be careful to consider Engineering’s position as a professional trade and the damage that might be done by lowering its standards unnecessarily. Most Engineers have degrees, and I would even go as far as to say that most Engineers have enough interest in the academics of their subject to want a degree. And, as much as it is possible to hire a good Engineer who doesn’t have one, these can later be cherry picked by just keeping an open mind about the importance of their education balanced against their demonstrable practical skills. This may make it harder for Engineers without a formal education to find interviews for positions, this is true, but that’s just how it is. If you want to get noticed, you need to build a portfolio of demonstrable Engineering activity, and you need to have a good academic background. You need both of those things. If you’re missing one or the other, then you’re going to struggle – no matter how good you actually are. To open the flood gates for this tiny minority would be a grave mistake and would cause untold damage to our trade – damage that may never be recovered. In general, no. But in my department, only graduate degree holders need apply. It isn’t to say we’ve never hired bachelor degree holders. 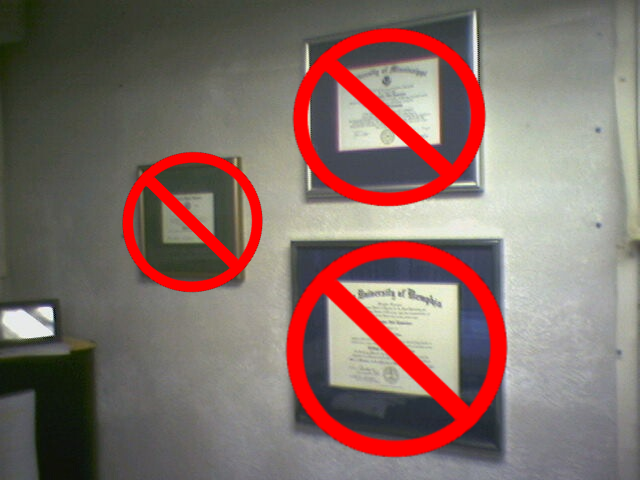 But then again, the bachelor degree holders we’ve hired have years of proven experience behind them. Those are the compelling facts that I’m talking about. I will say this. Those with graduate degrees usually have a better theoretical grasp on things due to the fact they’ve immersed themselves a lot longer in the theoretical realm. The extension of this trend you are discussing is already happening in some places, and is not always being pushed by HR. I can think of two examples that I have personally encountered. In my first job, some of the upper management were starting to push for all of the EEs in the office to get PE licenses. Never mind that we weren’t dealing with the public in any way, shape or form, or that (speaking as someone who has a PE) passing the PE is mainly an indicator that you are good at taking tests. In my second job, we were reviewing resumes for candidates who needed experience in a very specific area. One candidate seemed perfect – he had worked at one of the companies that pioneered the technology, spent some more time with a startup, and returned to the original company. All in all, over 20 years experience. When I passed him on to the tech managers as my top choice, I found out he had been thrown out because his college GPA was only 3.0. Now that really is a tragedy. As much as I do advocate formal education for engineers, I accept that you can sometimes find very capable individuals who don’t have one. They should never be turned away purely on that basis. Get the right person for the job first, and worry about the formal education later if it’s really that important. That’s a real shame. If a candidate has more than a couple of years of work experience, I usually don’t bother asking about their educational background. Non-creatives being called engineers is not a new phenomenon. I hesitate to use an obvious example here, but how is driving a train creative? The word ‘engineer’ has been used for locomotive operators (and, in fact, operators of shipboard engines as well) for well over 100 years. Long before that, it was used for people who operated catapults. There’s nothing wrong with this — we all pretty much accept it — but it violates your definition of what an engineer is, at least technically. A railroad engineer isn’t designing the engine he or she operates; it’s a job that requires skill and acumen, certainly, but it’s not what most would call a ‘creative’ job in the sense of generating new work. Likewise the ‘broadband engineer’ isn’t designing the fiber optic network, but he has the skill to make use of it intelligently towards some goal (i.e. fixing your cable or whatnot), just like a locomotive engineer. Further, the broadband engineer is not claiming he can design the network, he’s only claiming he knows how it works within his scope of responsibility. That would really depend on the particular ‘movement’. I don’t think Chris is suggesting you simply make the sole qualification the completion of high school (A-levels in the UK, I think). Obviously, there would be other requirements. A portfolio of complete, documented projects, for example. Projects completed within academia would obviously count in this respect, perhaps even weighted slightly higher, but the consequences of NOT doing this might be more dire. I can’t speak about the UK, but here in the US the cost of college is growing ever higher, and is less attainable for many, many people, even at public universities. This trend shows no signs of stopping any time soon. This lack of access has nothing to do with merit or capability — it’s along economic lines. So you end up with large swaths of people who possess capability but no way to exercise it. Instead of being diluted, the body of your profession dies because there aren’t enough qualified blood cells. Because they wouldn’t do that anyway. The modern world was mostly built by people who lacked the credibility of an academic degree. These people were able to do what they did because (despite a lack of formal training), when they were presented with a problem, they worked at it until they figured it out. Human beings can adapt. Give them a goal, pride of purpose, and permission to ask questions, and most of them will try their best to do what you ask them to do — many of them will succeed. An academic background might give them a head start on the vocabulary, but it won’t give them tenacity or cunning — you either have those or you don’t, from an early age. It is true that my definition of an Engineer is narrower than that employed by some trades. To quote one of your examples, I would not accept that “Engineer” is an appropriate title for someone who drives a train. I neither consider it an appropriate term for the person who installs your broadband, or repairs your fridge by swapping out a module, or any of those trades already mentioned. I don’t wish to belittle those trades of course, there’s nothing wrong with them, but I think there is a recognisable difference between the person who designed the train and the person who drives it. That difference, if I’m going to be honest, does lie in the *level* of skill, for which I would suggest the designer has more. Not necessarily because he or she is better, or more intelligent that the train driver, but if nothing else because they’ve taken the time to pursue a difficult subject to the level of detail required to be able to *be* the design engineer. It is possible to think of cases where that distinction becomes less apparent, of course. I can think of a case where the line between skilled user and design engineer becomes blurred right now, actually. So I’m not saying that it’s black & white. Most people within the technical trade can easily make the distinction between the skill level of relative “Engineering” jobs to be honest, but the problem is that the general public cannot. 1. a person who designs, builds, or maintains engines, machines or structures. 2. a person who controls an engine, especially an aircraft or ship. 2. a person who cleverly plans something. With regard to your reply about my interview/job acceptance credentials, I actually think we’re very much on the same wavelength here. Perhaps I simply didn’t state my argument well enough. I agree that an applicant should have a demonstrable portfolio of engineering related work; whether that be work completed in past jobs, things he or she has completed for self interest, or school work. This shows enthusiasm and demonstrable competence, and if the portfolio is a good one I think it easily trumps qualifications. You can have a very well qualified person who’s a crap Engineer, but you’re unlikely to find a person who has taken the time to build a good portfolio of demonstrable practical Engineering work to be a crap Engineer. If that’s what you were trying to say in your reply as well, then I wholeheartedly agree. Education costs are increasing here in the UK as well. They are becoming ridiculous, and this is a problem. I, as well as a number of other “liberal” electors, have a particular grievance in this regard because the liberal party in our country, pre election, were singing songs of frozen tuition fees. “We won’t raise the fees”, they said. “We believe in education for the masses not the classes”. That was a big winner for me, and I duly voted for them. They hadn’t been in office more than a few weeks (admittedly, in a coalition government where they held the minority seat) before those plans were chucked straight in the bin and they supported a tuition fee raise that would see college students paying literally *double* the fees. When their fees were already thousands of pounds a year to start with, that’s no joke. So this is a problem, I agree. Is the solution to lower the standards of jobs to give access to those individuals who are missing out? I wish it were that easy, but I don’t think it is. And with regard to your last particular paragraph, again I actually find myself in agreement with you I think. Indeed, Einstein himself initially worked on problems himself didn’t he – without the help of an educational institution – and his genius is unmatched on many levels. A formal education on its own is not going to win you status as a good Engineer, or scientist, or doctor, or anything else. Does that mean people should just not bother with one? Well… I’d like to think that *most* good Engineers would have enough academic interest in their subject to want a degree. And in our trade, where a person designing a complex RF board is likely to be compared with a person who comes to your home and switches on a router (let’s be blunt – there really *is* a difference in skill level there), then we need all the distinction we can get. I’m not sure if this is the case, but a conversation on FB made me think about this a bit. Many companies have to carry liability insurance for their work, as do consultants. I wonder if this move toward accepting only degrees isn’t a result, at least in part, of an effort to minimize that liability or if it is even explicitly written into insurance policies. I’m obviously not the one to ask, but I wonder if that’s part of what’s causing this. I really wish Jeri would chime in on this. Her input is needed. Chris, get on it. The idea of apprenticeships or finding something to replace a college degree keeps coming up. It seems like education is ripe for disruption.